Hoang Xuan Vinh has retained his position as the world’s top 10-metre air pistol shooter with 2,542 points, according to the July 2017 men’s rankings from the International Shooting Sport Federation. He has held the position since the Rio Olympics in 2016 by gaining good results in recent international shooting events. Vinh ranks second in the 50m Air Pistol Men, after Jin Jongoh from the Republic of Korea. 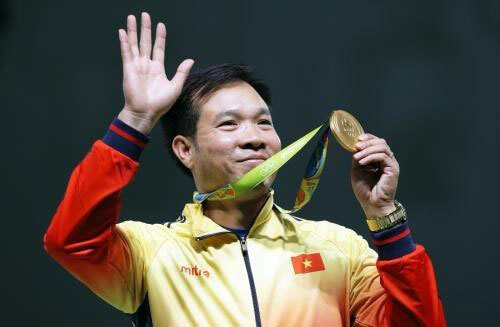 Vinh secured Vietnam’s first Olympic gold medal in the men’s 10-metre air pistol evetn at the Rio Olympics Games 2016./.